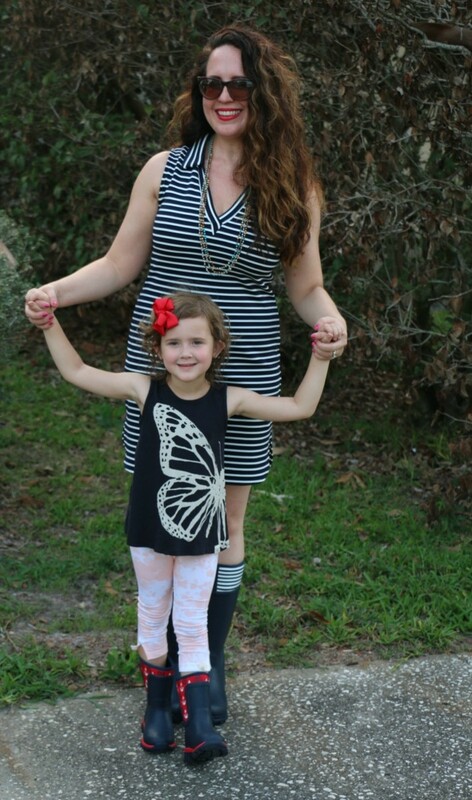 Let&apos;s talk mommy and me fashion shall we? My baby girl and I never pass up on an opportunity to coordinate our looks and I bought we aren&apos;t the only mother daughter duo who feel that way. In fact, I know plenty of my fellow mama friends who love picking up pieces that inspire both themselves and their daughters when they&apos;re shopping. And that&apos;s just who I&apos;m talking to today. I&apos;m here for you mommy and me style fans who are looking for some new coordinating pieces to add to yours and your daughters&apos; wardrobes. 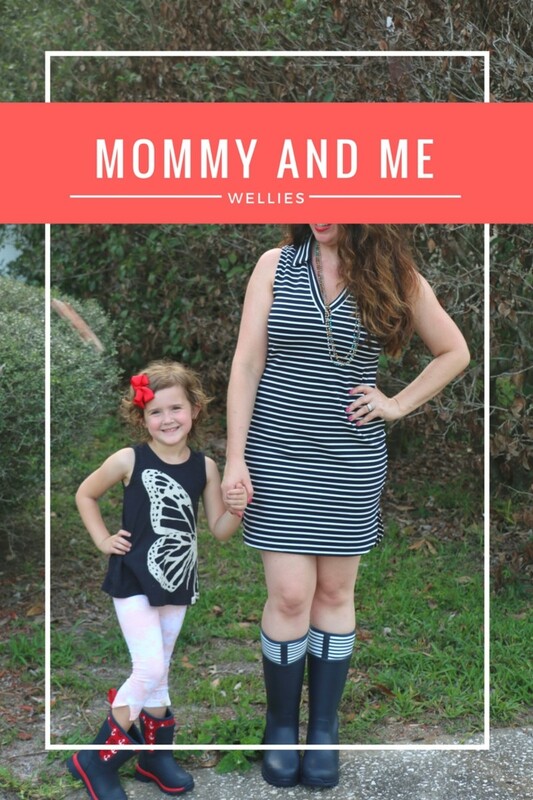 How do mommy and me wellies strike your fancy? 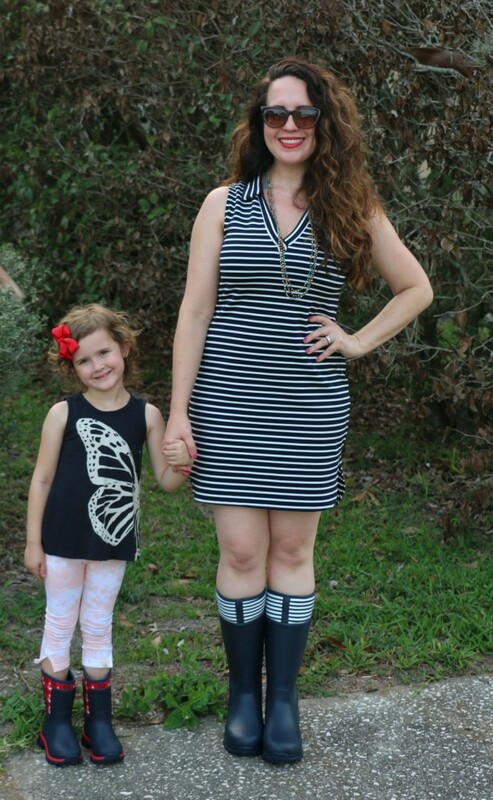 Yes, like I said, today our style focus is mommy and me wellies. If your neck o&apos; the woods is anything like mine, summer brings plenty of rain with it. 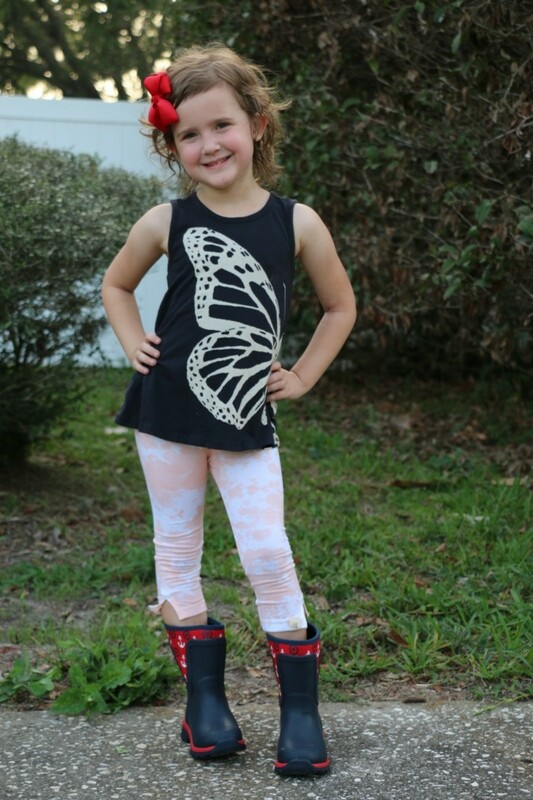 And my daughter isn&apos;t one who likes to get her feet wet, and frankly, I don&apos;t love it either, so fun printed wellies happen to appeal to us both. 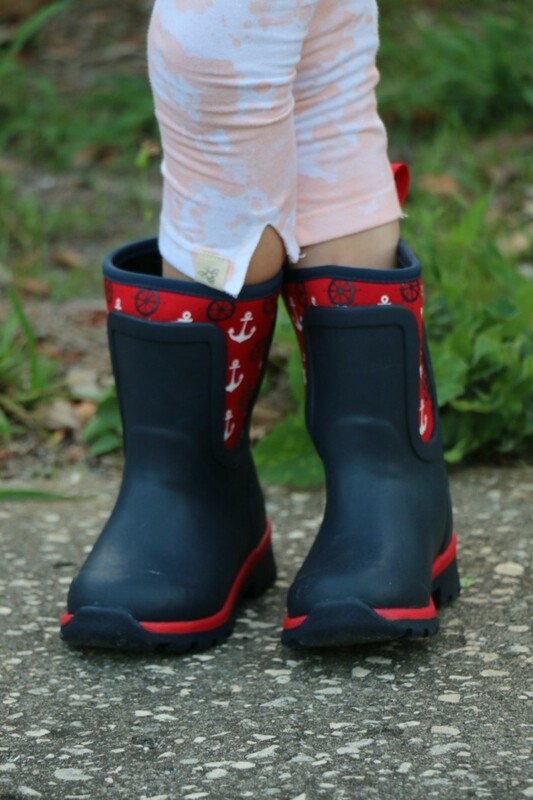 And The Original Muck Boot Company offers coordinating wellies that should appeal to every mama and daughter pair. Their Cambridge style is my absolute favorite! 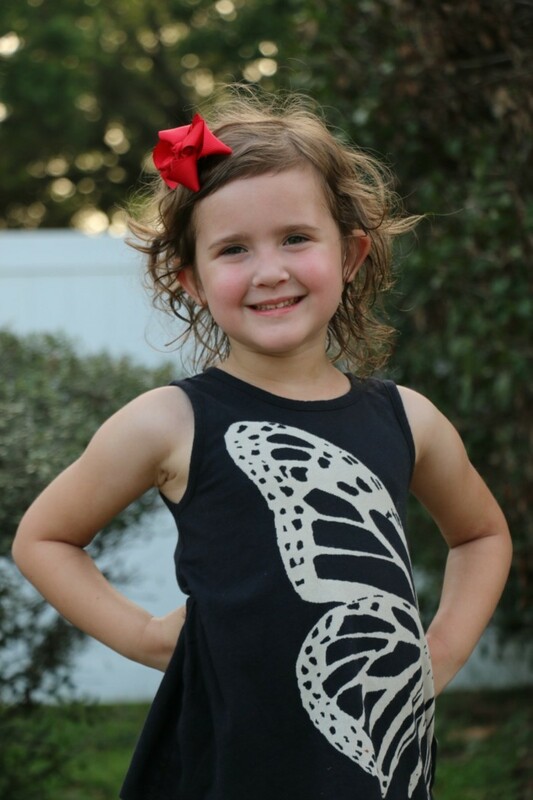 How cute are those stripes and anchors?! SO cute right?! And as for the rest of our mommy and me looks, my lil&apos; lady bean is rockin&apos; one of her favorite new Burt&apos;s Bees Baby outfits. If you haven&apos;t checked out this line before, you must do so STAT. Their organic pieces are SO soft and SO comfy. Both my kiddos love Burt&apos;s Bees Baby! In this case, she&apos;s wearing the inverted butterfly tunic and the paint splatter leggings. 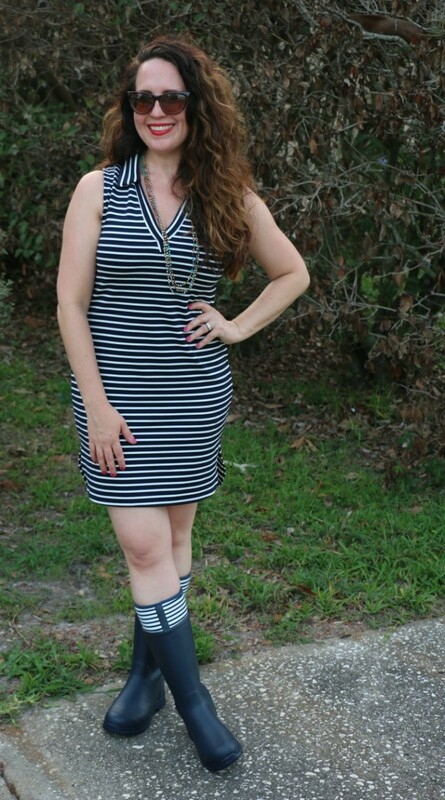 And to coordinate with my kiddo&apos;s navy tunic, I chose some navy and white stripes for myself in the form of the Leota Sleeveless Shirt Dress in Striped Ponte. Never one to shy away from mixed prints, I had no trouble wearing stripes on stripes. Hey, if you can&apos;t have fun with your style, what&apos;s the point? 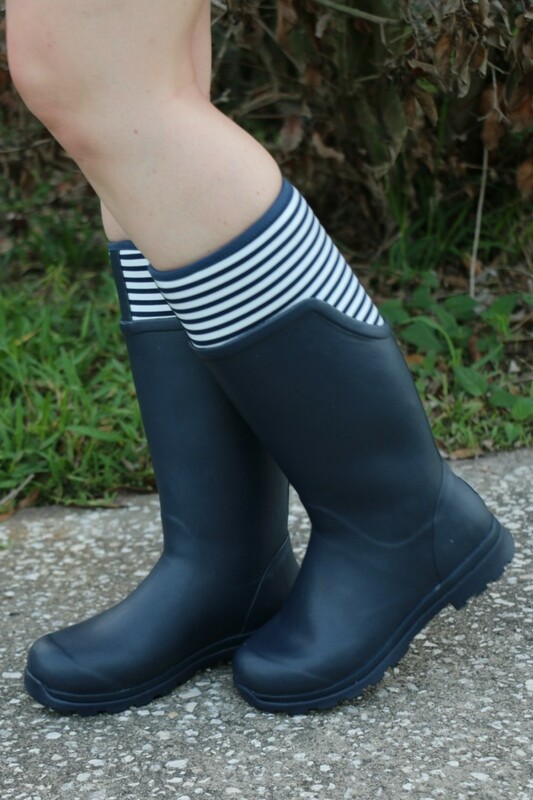 So, the next time you&apos;re looking for some mommy and me style inspiration, why not go for mommy and me wellies? They&apos;re cute AND functional so you get the best of both worlds!